Metuh’s lawyer had, at the last adjourned date, informed the court presided by Justice Okon Abang that his client was at the Nnamdi Azikiwe specialist hospital for treatment on spinal cord complications. . 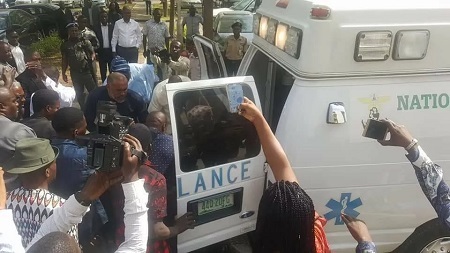 The lawyers, led by Onyeachi Ikpeazu, asked for a long adjournment after presenting the hospital’s medical report on Mr. Metuh’s health condition. 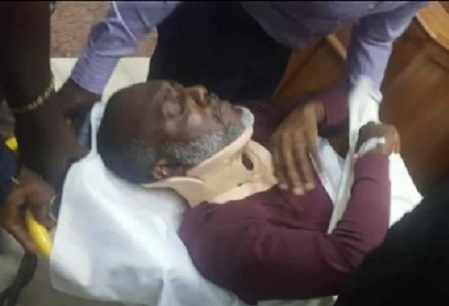 But Mr. Abang refused the application for a long adjournment and threatened to allow the application made by the prosecution for the revocation of Mr. Metuh’s bail if Mr. Metuh was not in court on Monday. . 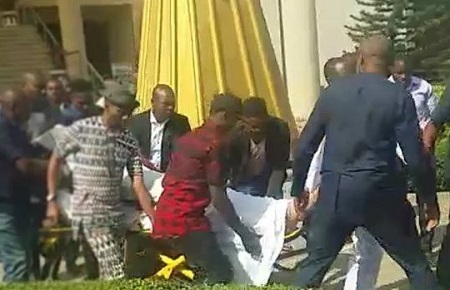 However, on seeing the spokesperson in court on a stretcher on Monday morning, the judge adjourned the matter till March 15. “I have seen the condition that the first defendant is. Seeing the condition, I am inclined to adjourn this matter to allow the first defendant attend his trial”.